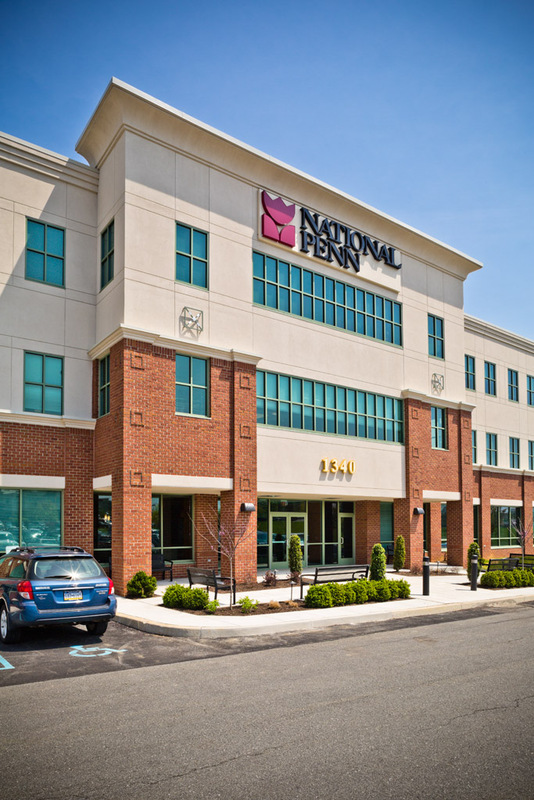 A shining example of our ability to provide services from concept to construction, the National Penn Bank Building at the Corporate Campus at Spring Ridge was designed and subsequently completed in early 2014. 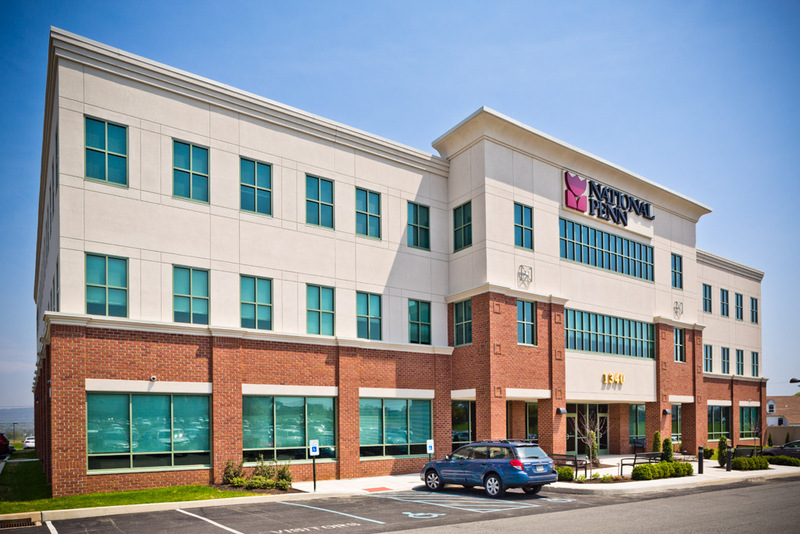 The focal point of the project was the construction of a 48,000 square foot Business Center within the existing Corporate Campus. The building location was chosen in an area of the site previously used as parking for adjacent buildings within the corporate campus resulting in a small construction envelope and the potential loss of parking for the neighboring business. These challenges were overcome by designing the site grading to minimize reconstruction of the parking lot area, utilizing existing stormwater management facilities and designing a new pervious pavement parking lot to make up for the loss of parking while addressing stormwater management impacts of the new parking area. In addition to completing the site survey and base plan preparation, responsibilities included project management responsibilities, site grading, parking lot design, ADA accessibility compliance, retrofit of existing storm sewer system, design of post construction stormwater management best management practices and utility coordination. Our group procured local Land Development Plan approvals as well as approval from the Berks County Conservation District for the proposed improvements. Our group continued to be actively involved in the construction phase of the project providing stake out services in addition to working closely with the Forino Company to assist with Construction Management services.